(P1) When your employees call in sick, there’s a good chance they aren’t really under the weather at all, new research finds. (P2) Nearly 30% of workers surveyed said they have called in to work sick when they were feeling just fine, according to a study from CareerBuilder. 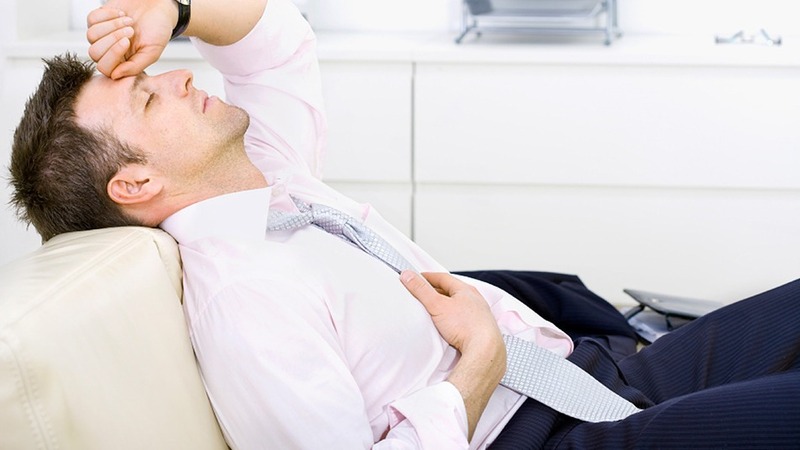 (P3) The most popular reason for faking a sick day? Just not wanting to head in to work. Specifically, 30% of those who have skipped work when they were not sick said they did so simply because they didn’t feel like going to work that day. The research also found that 29% said they wanted the day to relax, and 19% wanted to catch up on some sleep. For 11%, bad weather was a good enough reason to call in sick. (P4) The study found that many employees are making up fake excuses even when it’s not required. Although nearly half of the workers surveyed said they have paid time off that they can use any way they like, 23% still feel obligated to make up an excuse for taking a day off. (P5) But many organizations aren’t just taking employees’ word for it: More than 30% of managers check to see if their employees are telling the truth. The most popular ways of doing so include asking for a doctor’s note and calling the employee, the study found. (P6) However, some businesses take things a bit further. The research showed that 15% of employers have driven past a “sick” employee’s house to make sure he or she was really home 15% of employers have driven past a “sick” employee’s house to make sure he or she was really home. (P7) Faking sick days can have significant consequences: Nearly 20% of employers have fired an employee for calling in sick with a fake excuse. (P8) Some employees end up outing themselves online. One-quarter of the employers surveyed have caught an employee lying about being sick by checking their social media accounts. Of those, 22% have actually fired the employee, but 54% were more forgiving and only reprimanded the employee for the lie. (P9) Overall, employees in professional and business services and sales called in sick most often in the past year. On the flip side, employees in the IT, retail, and leisure and hospitality industries were least likely to call in sick. (P10) The study was based on surveys of 2,203 hiring managers and human resources professionals, and 3,103 United States workers. What is the most popular reason for faking a sick day according to the article (P3)? Why are some employees making up fake excuses even when it’s not required (P4)? And how do employers take the fake excuses (P5-8)? Why do you think employees in some industries call in sick more than other (P9)? In your country, can you take paid leave without feeling obligated to make up an excuse to take a day off? If you were the employer, what changes would you make to your company’s policy for paid leave after seeing the statistics?